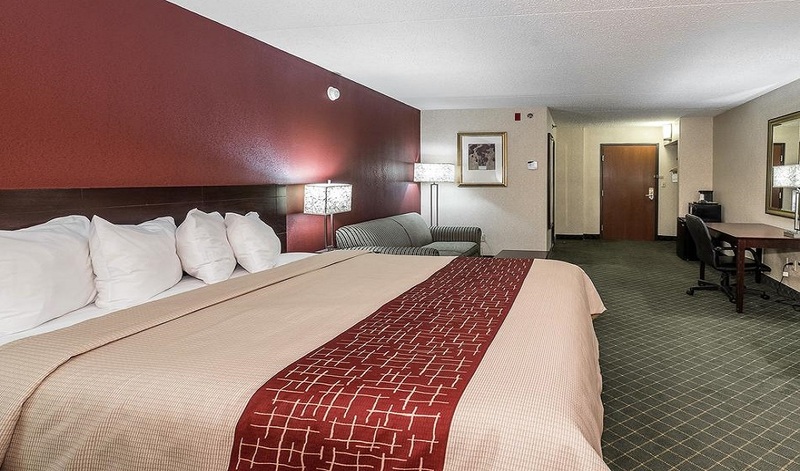 Travel in style and stay in our comfortable and luxurious rooms fully equipped with modern amenities. 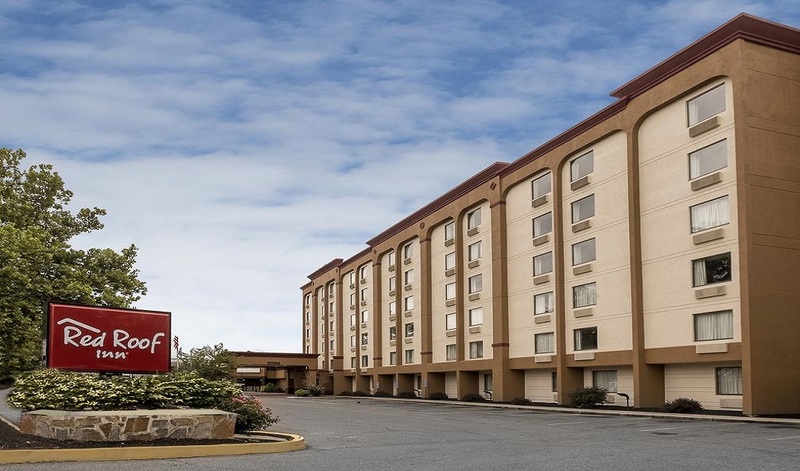 New Britain is conveniently located near Connecticut's capital city. The city is nicknamed the "Insurance Capital of the World", making our hotel the perfect destination for business and leisure travelers. 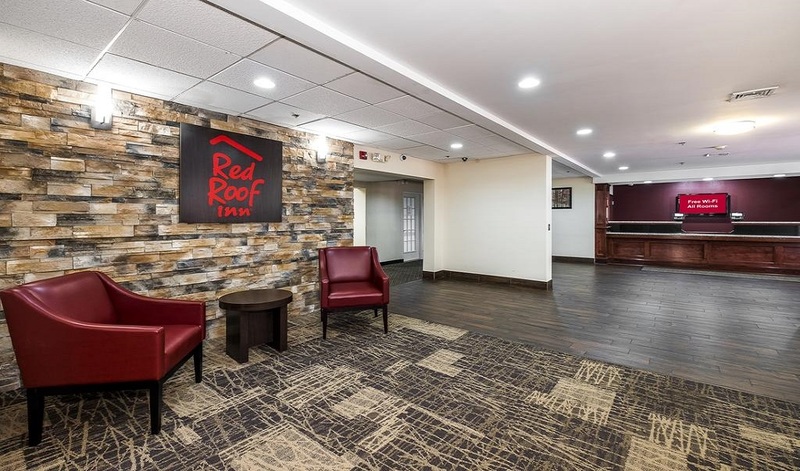 Red Roof Inn Hartford is next to New Britain Museum of American Art, downtown Hartford, Capital city businesses and multiple Universities, bringing convenience into your every day. 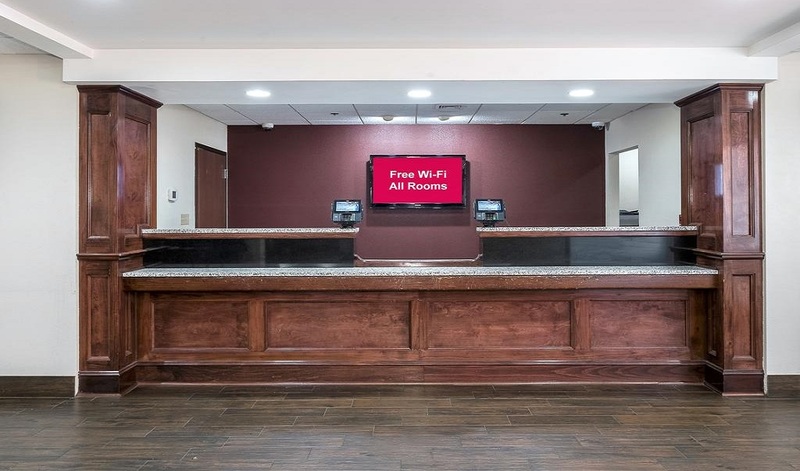 From New England-style decor, to designer details and unsurpassed amenities, our goal is to create an exceptional experience for our valued guests. Come relax in a community where you are celebrated, honored, and nourished. 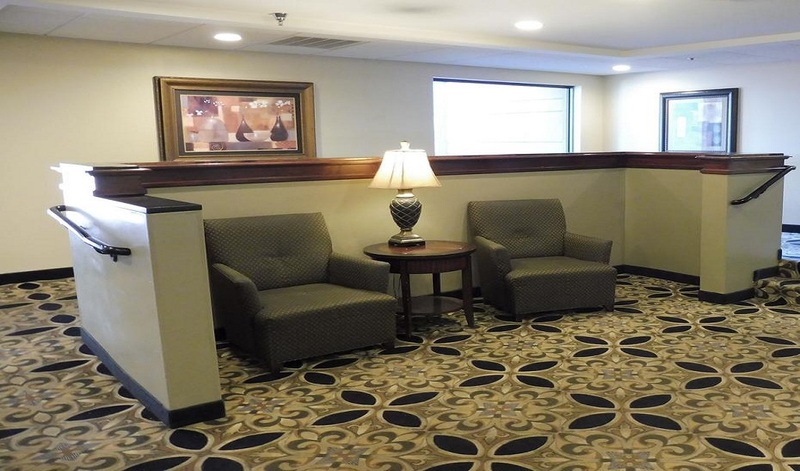 Our amenities help make each travelers experience smooth and memorable. 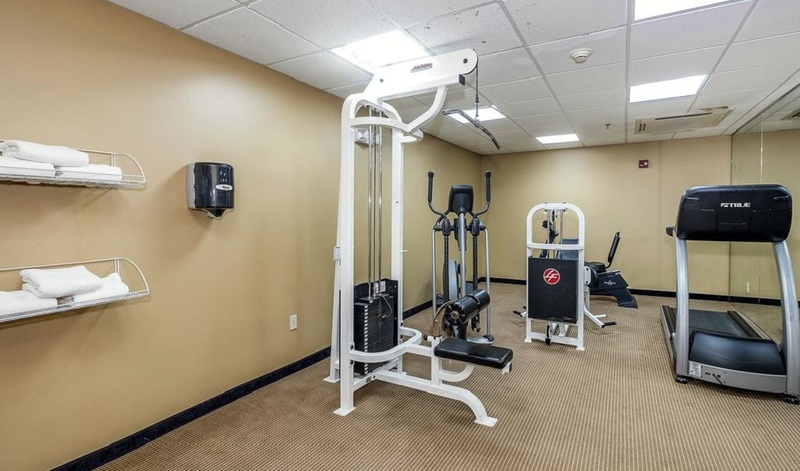 These include a fitness center, business center, Wifi, free coffee in the lobby, onsite coin laundry facilities, and pet friendly rooms. 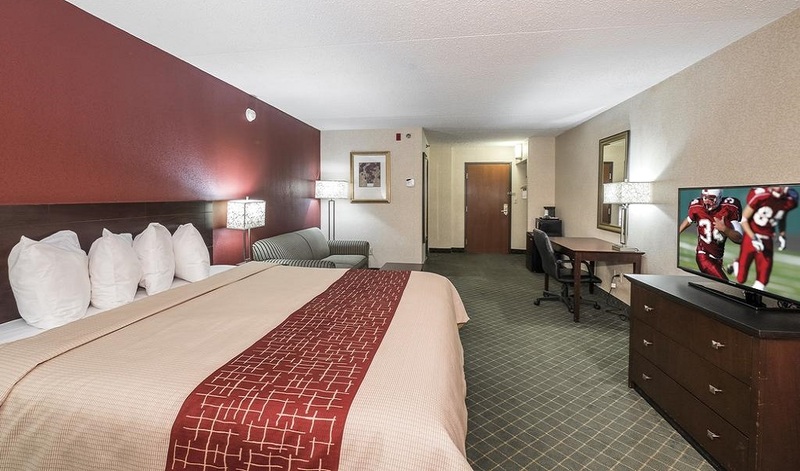 Sweeten your travel experience by staying with us in our spacious rooms! 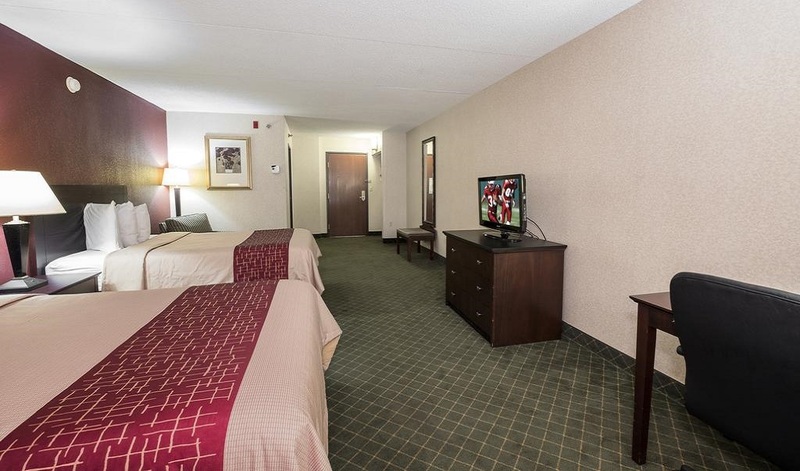 Featuring a modern style suite, our rooms are designed to be your perfect home away from home. 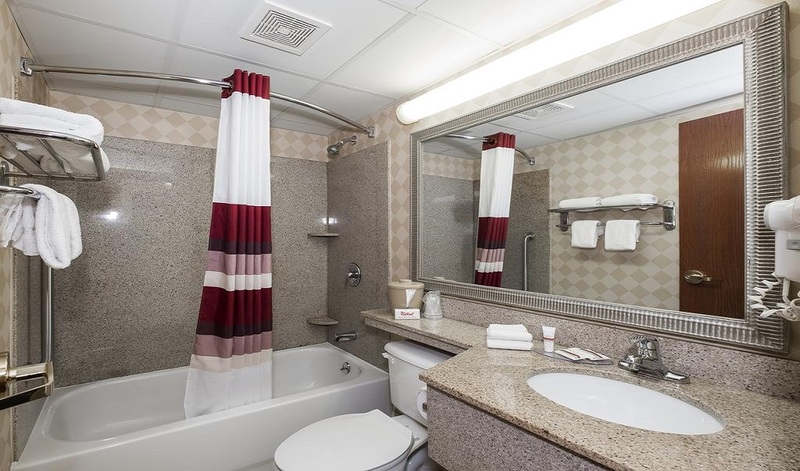 In-room amenities include a flat screen TV, HD premium cable channels, WiFi and a hair dryer. 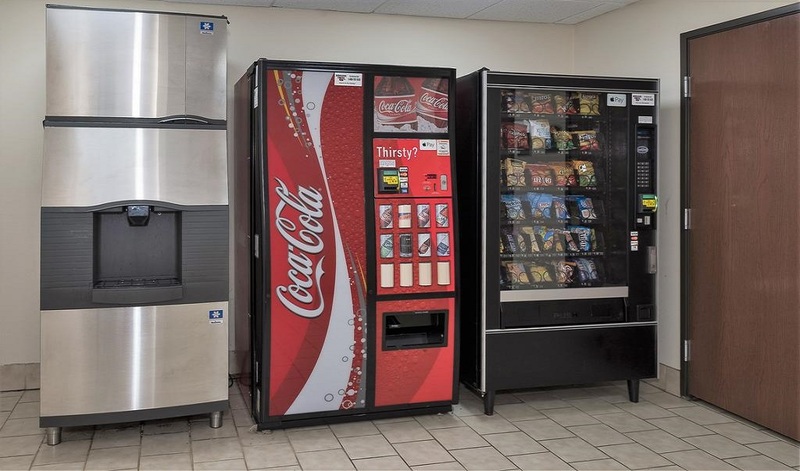 Selected guest rooms offer microwaves and mini-refrigerators. 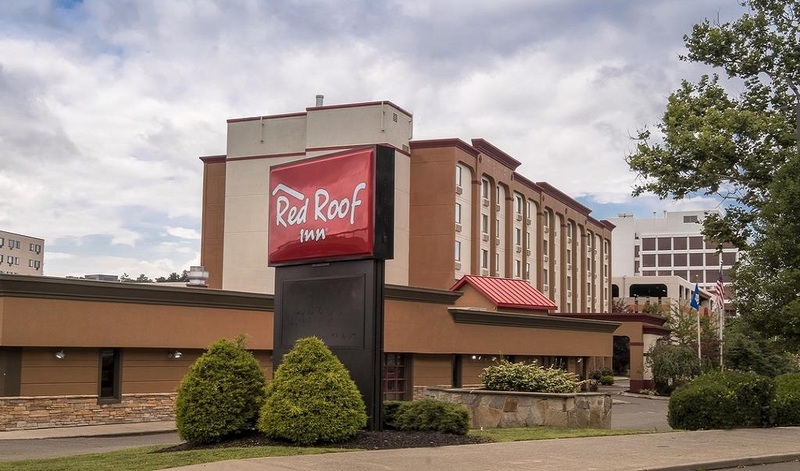 Kick back, relax, and stay awhile at the comforting Red Roof Inn New Britain. New Britain dining abounds in one of the world's best culinary destinations. Our hotel is near some of the cities most stellar restaurants and bars - your taste buds will thank you forever when you dine in at one of these locations. One Stop Market & Liquor, Red Apple Chinese Restaurant, Grand Pizza & Restaurant, New China Chinese Restaurant, Cheng's Kitchen Chinese Restaurant, Mofongo Restaurant, Kay's Place, Frecheline Mini Market, Mae Kong Thai Restaurant, and Big Cheese Pizza are in close proximity to the hotel for our guests' convenience. Shopping is a part of our everyday lives and fortunately, this area offers a lot of options in which to indulge in retail therapy. If we're being honest, it's also nice to bring some souvenirs home when you're traveling. Enjoy New Britain and discover its great shopping options by strolling around Columbus Plaza Shopping Center, Westfarms, and New Brite Plaza. In New Britain, CT you can enjoy nature, try out some old-fashioned soda, and gaze at the stars. This city is a charming, quaint, and utterly beautiful place to adventure. Families can take their kids to Dinosaur State Park and see incredible displays. We recommend all individuals take a stroll around the beautiful parks in the area such as Walnut Hill, Stanley Quarter, and Willow Street. No matter your age, Enjoy all that New Britain has to offer! New Britain offers various types of entertainment. Don't hesitate to enjoy nightlife - bring your significant other or friends out and we'll make sure you’ll get an experience like never before. 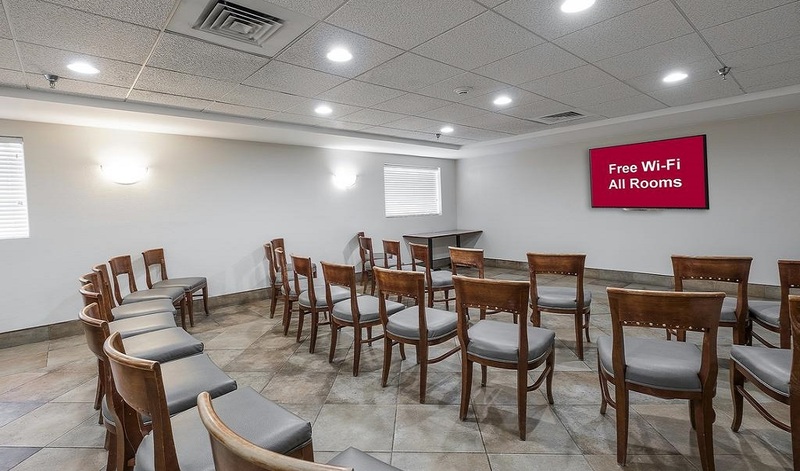 Club Lido, Club International, The Frosty Mug, Central Blue Moon Grill and Hookah Lounge, and Hole in the Wall Theater are a few locations we recommend for entertainment. There will be dancing, karaoke, live music, mingling, drinks and more. It’s a great way to dress up and have a fun night out! 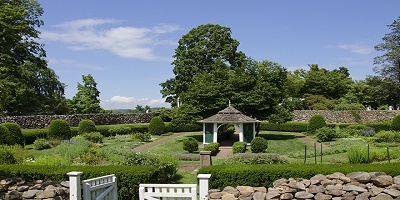 The Hill-Stead Museum is a Colonial Revival house and art museum set on a large estate at 35 Mountain Road in Farmington, Connecticut. It is best known for its French Impressionist masterpieces, architecture, and stately grounds. The property was designated a National Historic Landmark as a nationally significant example of Colonial Revival architecture, built in 1901 to designs that were the result of a unique collaboration between Theodate Pope Riddle, one of the United States' first female architects, and the renowned firm of McKim, Mead & White. The house was built for Riddle's father, Alfred Atmore Pope, and the art collection it houses was collected by Pope and Riddle. 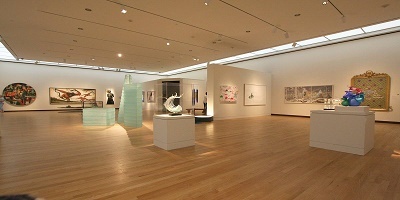 The New Britain Museum of American Art is an art museum in New Britain, Connecticut. Founded in 1903, it is the first museum in the country dedicated to American art. A total of 72,000 visits were made to the museum in the year ending June 30, 2009, and another 16,000 visits were made to the museum's satellite gallery at TheatreWorks in Hartford, Connecticut.The museum's origins are in the "New Britain Institute", chartered in 1853 with the goal of fostering education and art in the city, especially among its immigrant population. In 1903, the museum received a bequest of $25,000 from John Butler Talcott to acquire "original modern oil paintings either by native or foreign artists". Bryson Burroughs, then curator of paintings at the Metropolitan Museum of Art in New York City, suggested to museum officials that directing their efforts at acquiring American art would be most cost-effective. The museum took his advice and seldom spent more than $1,000 for any artwork, amassing a collection now worth millions. 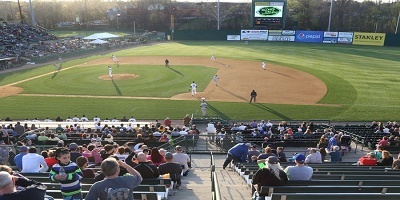 New Britain Stadium is a baseball venue in New Britain, Connecticut, United States. It is the home of the New Britain Bees of the Atlantic League of Professional Baseball. Opened in 1996, the stadium seats 6,146 spectators.The stadium is part of the city facility known as Willow Brook Park and is sometimes referred to by this name also. It is adjacent to Beehive Field, where the New Britain Red Sox played for 13 seasons after moving from Bristol in 1983. The park also contains Veteran's Memorial Stadium, a facility for football and soccer. 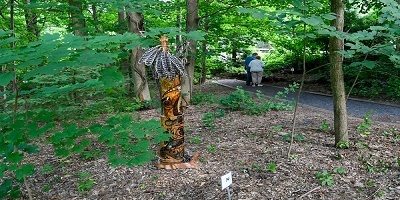 For 60 years, the New Britain Youth Museum, a non-profit museum and nature center, has served as an educational resource for children, youth, families and teachers in central Connecticut. The New Britain Youth Museum in downtown New Britain, CT offers school programming, outreach, exhibits and special events that focus on history, art, science and the cultural heritage of the diverse peoples of the region. The New Britain Youth Museum at Hungerford Park, Kensington offers educational programming, exhibits and special events that relate to environmental education, biological and animal sciences, and STEM. Check in was easy, and the gentleman at the front desk was friendly and accommodating, happily giving us extra towels. The room was huge, larger than any other standard hotel room I've been in. The beds were clean and comfortable. The restroom was on the smaller side but completely functional. We had a great stay. Ricky Bell was very helpful and made this a fantastic trip for me and my friends!! Checking in was very easy and convenient! He was super nice and welcoming. The room was great and comfortable. Overall it was a great trip! We checked in with Kevin a trainee who as assisted by a very pleasant Ricky Bell. Ricky was patient and helpful to Kevin. It was painless an swift. 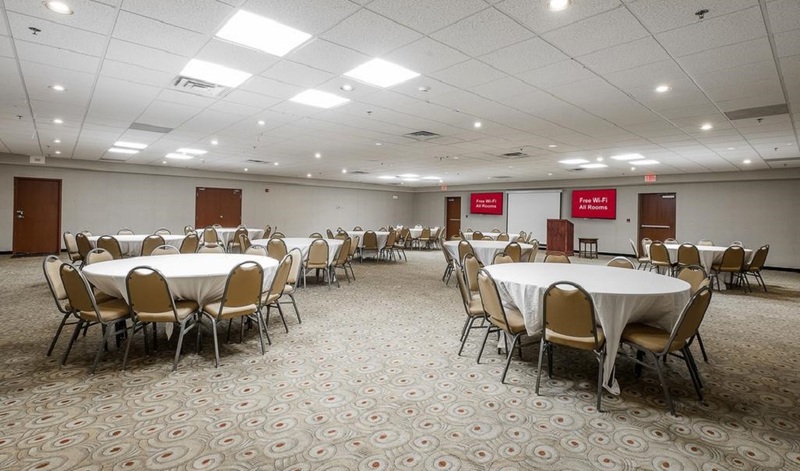 We was surprised that the room was extremely large and very clean. No noise allowed us to sleep through the night and woke up feeling refreshed. I would recommend this establishment. 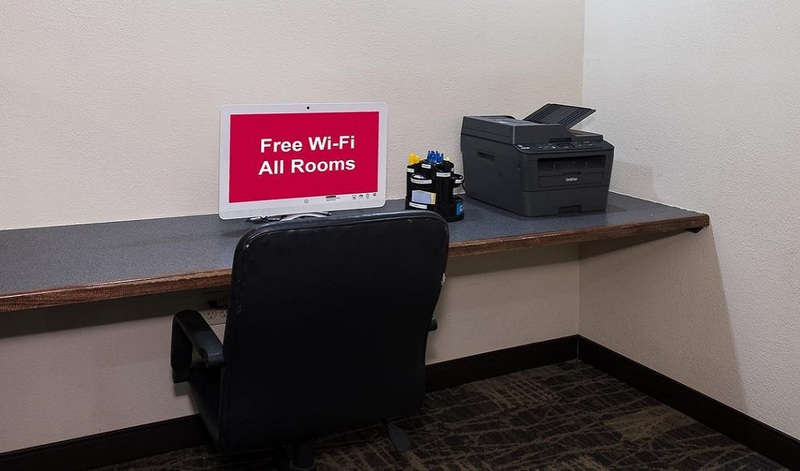 I found this hotel to be charming and clean. I loved the staff. They were very professional and personable. I especially liked Naomi and Ricky. They went out of their way to make our visit comfortable. I would highly recommend this hotel...a home away from home. I was here for 21 days for business and I'd just like to say, I've enjoyed a great stay at this location. Ricky Bell was very hospitable and his customer service skills are phenomenal.I would definitely stay here again and also refer you guys business. My husband, dog, and I stayed here July 29-30.Our room was spotless, without a crumb or fingerprint to be found. 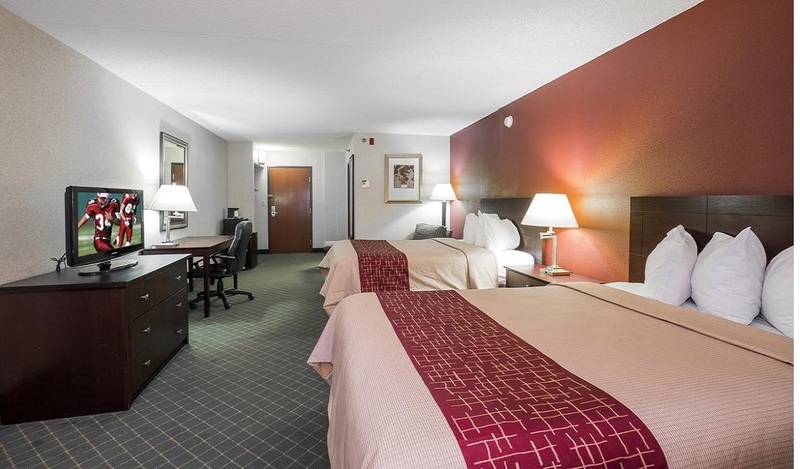 The bed was extremely comfortable with great bedding; and we were able to order food to be delivered quite easily. 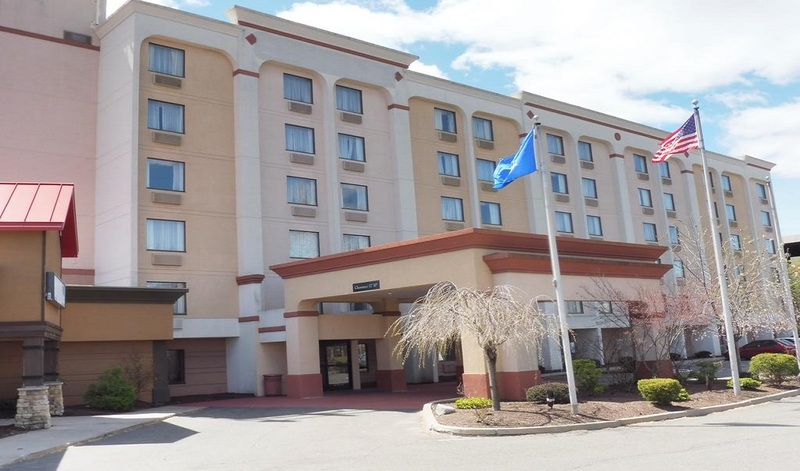 This is a basic Budget Hotel in a great location within walking distance of downtown New Britain.My room was very clean and quiet. The most outstanding feature of this hotel is the staff at the desk notably Ricky and Johanna. They were super helpful and printed out my boarding pass and very very friendly, For no other reason staying at this hotel is recommended due to the excellent help at the front desk. I can't say enough about the service that Naomi gave me at the front desk.She was sweet and extremely professional the whole time! Can't say enough about her service and I will definitely be staying at more red roofs if the service is like this every where! We're just here for one night and we're on our motorcycles. Ricky was an awesome guy who lets us park them close to the entrance for security. Room was clean and the bed was comfortable. Very quiet location. No complaints!! Ricky Bell was very helpful when we arrived and checked into the hotel. 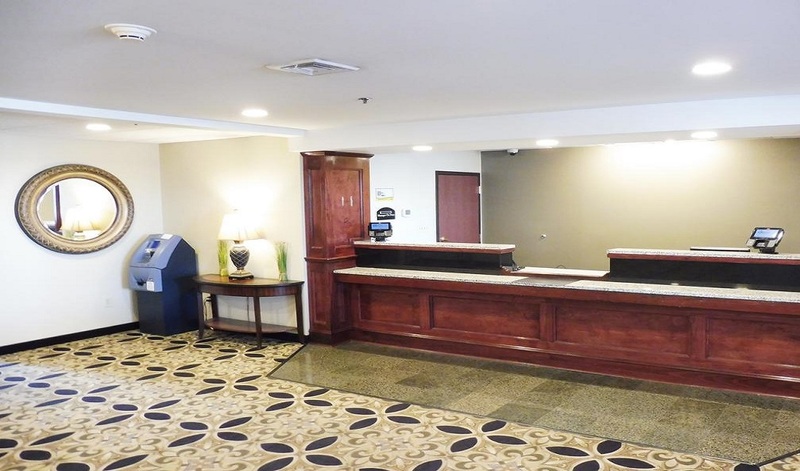 He was very nice and personable; he made check in a very easy and fast process. I thought that the room was clean and roomy for the price of the room.